Using optional monogram, the handmade leather duffle bag delivers a personalized and stylish way to hold your travel or exercise items. Like the design? Let’s have a look. This is beautifully crafted and eye-catching leather duffle bag handmade by CapraLeather, a handicraft studio from Colombia. The bag measures 18.8 inches long by 11.7 inches high, and the handle drop length is 5.5 inches. As we can see from the images, the duffle bag shows off a classic and stylish appearance design, and it’s built with full grain leather and stitched with Italian waxed thread for a durable construction and luxurious elegance, while the black nickel hardware complements to the classic fashion. 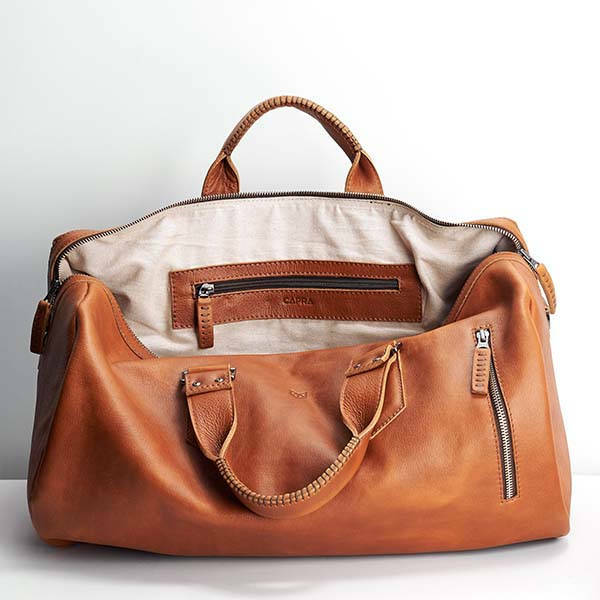 The wide main compartment of the leather bag is large enough to accommodate various items for travel or exercise, and the Linen interior provides enhanced durability. Furthermore, a zippered inner pocket is designed to keep some valuables securely in place such as smartphone, wallet and more. Moreover, an zippered external pocket lets you access to some small items like keychain, multi-tool and more. And a detachable leather padded shoulder strap lets you comfortably carry it on your shoulder. In addition, the bag is customizable by engraving up to 13 characters for a personalized look. 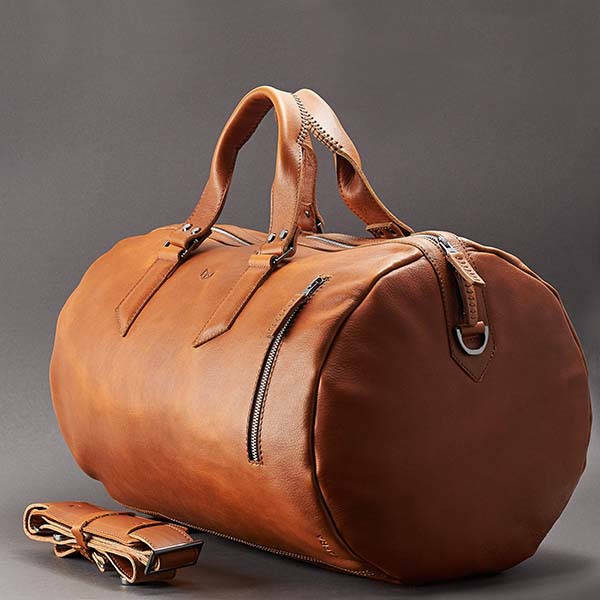 The handmade personalized leather duffle bag starts from $309 USD. If you’re interested, jump to Etsy for its more details.